Liposuction is a commonly used cosmetic surgery procedure to remove fat from your body. During liposuction treatment small, thin and blunt- tipped tubes with holes called cannula are inserted through the small cuts in your skin. Cannula helps in sucking fats from specific parts of your body. Laser liposuction is a less painful method used to effectively remove fat deposits using suction. 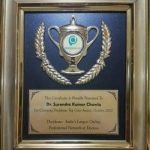 There are three new techniques used for liposuction treatment. Tumescent liposuction is a common treatment used to remove fat from your body. During this procedure local anaesthesia is given to numb the cut site through which cannula will be inserted below skin. Then a large amount of anaesthetic solution is injected into your fatty deposits before starting the traditional liposuction treatment. General anaesthesia is not required during the tumescent liposuction treatment. During this process ultrasonic energy is used to liquefy the fat that makes it easier to remove from your body. Ultrasound assisted liposuction is mainly used to remove fats from your upper abdomen and sides thighs and hips. Laser assisted liposuction treatment makes use of low energy waves to liquefy the fats present in your body. Laser assisted liposuction also requires cannula to remove fat from your body through an incision. Laser liposuction is also called as laser assisted liposuction. 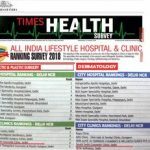 This procedure helps in trimming your body with minimal efforts. According to researches, laser liposuction could be the key to optimum body sculpting. Laser lipolysis is a minimally invasive process that makes use of heat and fiber optic lasers at various wavelengths. Using laser lipolysis can helps in melting your body fat. It does not remove your fat through cannula. It is a non surgical procedure. Laser lipolysis and laser liposuction are two different procedures, liposuction involves removing fat from your body through a vacuum suction. Usually Laser lipolysis is an effective treatment for small fat deposits whereas; lipolysis in combination with liposuction produces best results. Liposuction and lipolysis can help in tightening and shrinking of your skin. Well sculpted bodies are generally the result of traditional liposuction with lipolysis. Laser lipolysis is a safe and effective treatment for removing fats from targeted small areas of your body. The advantage of laser lipolysis is that it recovers faster. Traditional liposuction and laser assisted liposuction is also considered as safe procedure to remove fats from your body. Side effects or post surgical risks are reported in very few cases. The common risks include swelling, bleeding, infection, scarring and nerve injury. Blood clots are reported very rarely in patients. Liposuction surgery is generally considered safe. Liposuction prices are reasonable at South Delhi Cosmetic clinic. 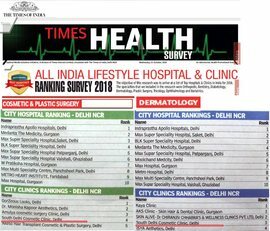 Our consistent effort and positive feedback from our clients have proved South Delhi Cosmetic clinic to be one of the best liposuction centre or clinic in Delhi. Liposuction procedure in Delhi is performed under the supervision of best liposuction surgeons. 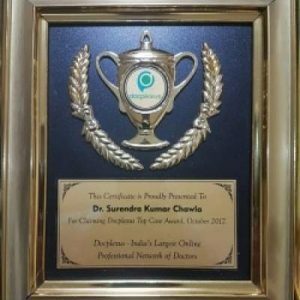 Dr. Surender chawla is the best cosmetic surgeon in Delhi who can perform laser lipo procedure with successful results, book your appointment for a liposuction surgery in Delhi.